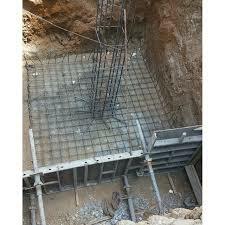 Foundation of a structure is always constructed below the ground level so as to increase the lateral stability of the structure.It includes the portion of the structure below the ground level and is built, so as to provide a firm and level surface for transmitting the load of the structure on a large area of the soil lying underneath. 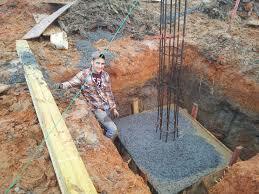 The solid ground on which the foundation rests is called the Foundation Bed. 1 ) To distribute the load of the structure over a large bearing area so as to bring intensity of loading within the safe bearing capacity of the soil lying underneath. 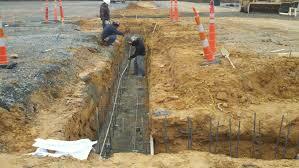 2 ) To load the bearing surface at a uniform rate so as to prevent unequal settlement. 3 ) To prevent the lateral movement of the supporting material. 4 ) To secure a level and firm bed for building operations. 5 ) To increase the stability of the structure as a whole. Foundations are broadly classified into two categories.